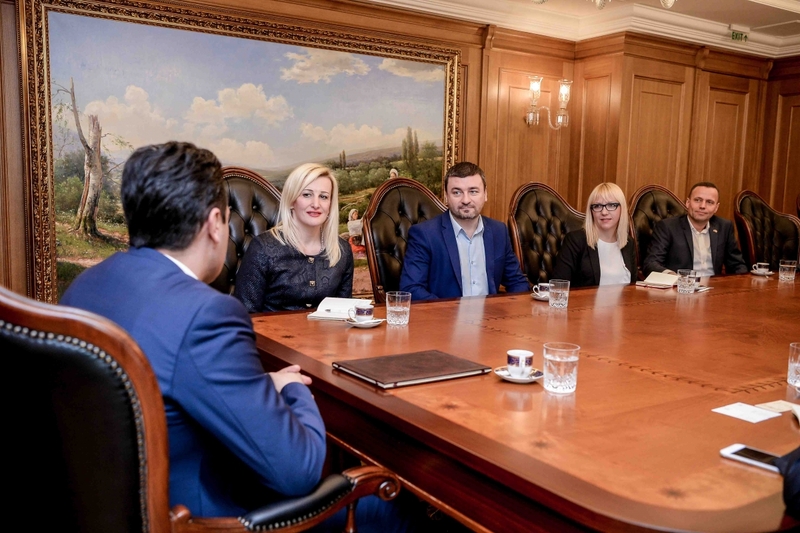 The President of the Government of the Republic of Macedonia, Zoran Zaev, accompanied by Dusica Perišić, executive director of ZELS, met with Violeta Jovanović, executive director of NALED from Serbia and other representatives of the NALED. The meeting discussed possibilities for further development of the regional network for Business Friendly Environment in South East Europe (BFE SEE), as the regional organization for improving business conditions whose founders are the governments of the countries of the region and members would be institutions and organizations relevant to the business environment at the local level. The main goal is to establish regional standard for business investment, as well as exchange of experiences and knowledge in order to improve the investment climate in the municipalities of the countries in the region. - The Republic of Macedonia supports any initiative that contributes to what we have committed to the European Union, which is to promote regional cooperation, and especially in line with the initiative for establishing a regional economic zone. Apart from the state level, it is certainly useful for the municipalities to connect, cooperate, exchange knowledge and experiences. It is important to strengthen municipal administrative capacities and local communities in the region, by establishing common standards in digitization, construction, cadastre, other important areas, to make it easier to attract the attention to invest in municipalities in the region. Hence, I welcome the initiative for today's meeting and announce further cooperation for development in the direction of the discussion at today's meeting, said the Prime Minister of the Republic of Macedonia, Zoran Zaev, at the meeting with the representatives of BFC SEE network.